New $32M VERDE School K-8. 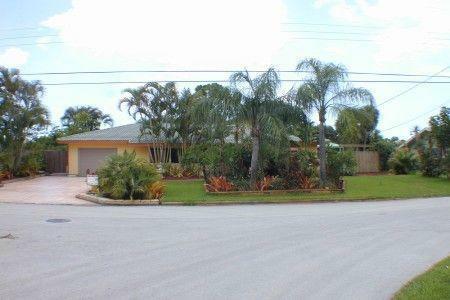 Tropical Home, Key West Inspired Pool Area, Renovated Throughout, Very Private on 1/4+ Ac, 15x40 Open Florida Rm Poolside, Marble/Granite Master Bath w/ Jacuzzi Tub, This two bedroom, two bath, one car garage is located in the quiet, established community of Paradise Palms. Lush Yard and beautifully landscaped with exotic tropical plants and trees. Single story home with a distinct barrel tile roof added 2001. Open Floor Plan flows beautifully under volume ceilings. Gourmet kitchen includes cabinetry, countertops, upgraded appliances, a spacious eat-in area and breakfast bar. There is Mexican tile and faux stone tile throughout the home including the Huge Florida Room that spans the pool.This is an open two-story room with drop down ceiling fans and gorgeous views of the tropical yard and crystal pool. The home offers two spacious bedrooms. The first bedroom is large and open with a private bathroom with upgraded raised vanity and shower. The master bedroom is also very spacious with a large wall closet and gorgeous bathroom that has been remodeled from top to bottom with a mixture of marble and granite. Listing provided courtesy of Gregory Charles Schmidt.